When getting started with anything, there is always a learning curve. Since we know many of our buyers are new to the E-Cigarette world and many might not understand exactly where to start, we've highlighted our most popular E-Cig Starter Kits. 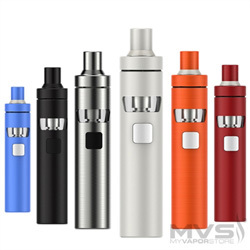 Each kit includes all the necessities to start vaping (certain pieces may be featured as add-ons) and all of them are from the industry's most reputable brands. The Kanger SUBVOD MEGA TC is a great cloud chasing starter kit for beginners to intermediate users. This device features only one button which is used to power the device on/off, and fire the device. With the included sub-ohm coils, the user will produce great amounts of vapor with ease. 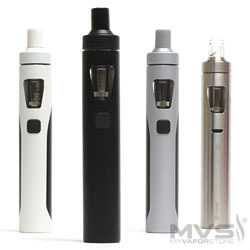 This is the Joye eVic Mini VTwo Starter Kit. This stylish, yet easy to use starter kit is great for uses of all experiences. The interface on the device is very intuitive and offers clear readings of your battery and tank. The starter kit includes four different atomizer head options which allow the user to narrow down on what kind of vaping experience they prefer. Be it a cloud chaser, mouth-to-lung user or if they prefer a temperature controlled experience. Meet Innokin’s newest Starter Kit, the Coolfire AETHON TC100W! Featuring a large capacity 3,300 mAh built-in battery and rapid 2Amp charging, this high powered kit will last you hours of use on a full charge! 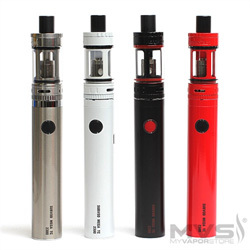 This Starter kit also includes everything you will need to start vaping! 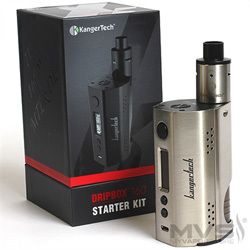 The Kanger DripBox Starter Kit is the perfect device for uses looking for a rebuildable dripping experience. This starter kit is very easy to use for beginners and advanced users. It features a “squonking” bottle installed into the device. You can squeeze this bottle to get e-liquid directly to your coils. There is also no need to build as the starter kit includes replacement build decks with coils and cotton. Simply replace them when the cotton wears down. Users can also rebuild on their own with the spare cotton and coils included with the kit. 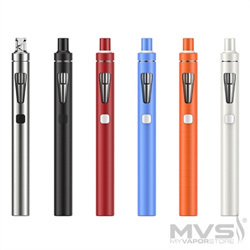 The AIO D16 is perfect for beginners looking to start vaping without being overwhelmed. The eGo AIO features a simple to use one-button design and includes almost everything you need to get started. This lightweight device features a slim and tall design, which includes a tank and built-in battery, making for an all-in-one design that's both convenient and affordable. 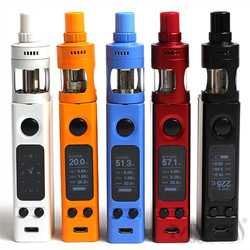 Joye's AIO D16 is another starter kit that's perfect for beginners to the vaping world. Like the D16 model, the eGo AIO features a simple to use one-button design and includes almost everything you need to get started, including a tank and built-in battery. This top-fill kit features a standard 22mm diameter. 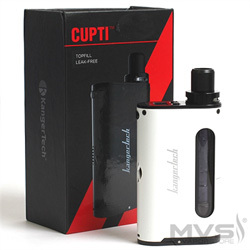 Daily E-Cig users love the Kanger CUPTI Starter Kit. With built-in temperature control and a leak resistant cup design, this all-in-one device doesn't require any additional tools and tweaking. Just fill with eLiquid and start vaping right away! Includes OLED screen for easy adjustments and viewing.